Two scholarships of £5,000 each are awarded to students from any country. The scholarships are open to applicants who have an excellent academic record and who are applying for admission onto the Full-time MBA or MBA in International Business in September 2011. An award may be withdrawn if a student fails to meet the academic standards set by the University. Although applications for the scholarships should be made before 31 May 2011, the scholarships will only be awarded to applicants who have firmly accepted their offer through payment of the deposit. Applicants who hold full sponsorships are not eligible for the scholarship. Applicants should submit a 1000 word essay, explaining why they feel they should be awarded the scholarship, and how the scholarship will benefit them. This essay should accompany the application for admission to the MBA programme. A Selection Committee will meet in June 2011 to select the scholarship holder and the winner will be announced shortly afterwards. The successful applicants will be invited by the University to attend an award ceremony early on in the programme. David Miller is an alumnus of the University of Edinburgh Business School and is the founder and CEO of Meteora Partners which provides services to the investment industry in London and New York. 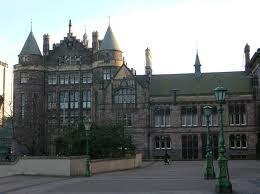 Demikianlah informasi mengenai The Calum Miller MBA Scholarship, University of Edinburgh, UK semoga berguna bagi anda.